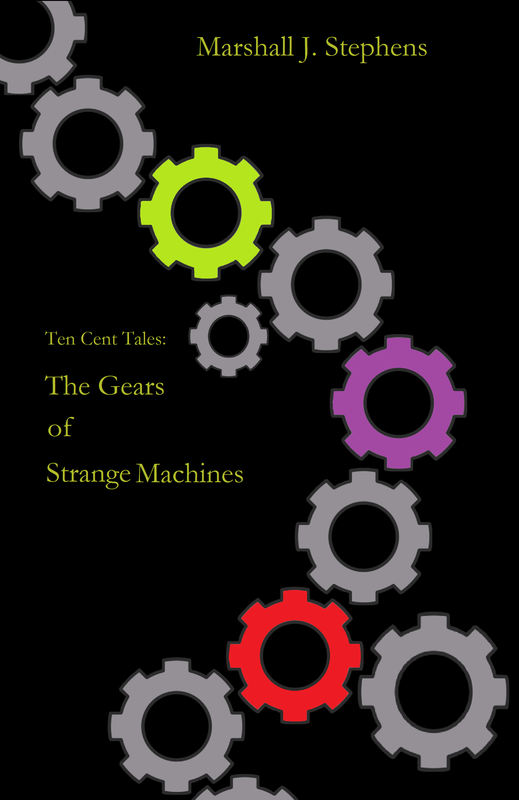 Ten cents a story, and a penny off if you buy all ten, is a bargain especially for these delightfully twisted and ingenious tales. Each is unique so much so that my job as reviewer is made more difficult because I don’t know how to summarize this collection beyond saying that it is eclectic, intriguing and you should buy it right now. Go on do it! Not convinced yet, ok. Let me try again. Most of the stories in the collection are brief but leave the reader totally satisfied, with the occasional cliff hanger. Some will delight the vampire lovers. Another will tickle the fancy of Steampunk lovers. And yet another will please those who enjoy Warhammer (if you aren’t sure what that is, think about it as Terminator style). Most of the stories take place in the present or in the near future. And all of them have a sort of Everyman’s appeal to them. In fact the collection is dedicated to “every schlub who’s worked a thankless, dead end job and still did it with tireless commitment.” I think we have all been that person working long hours at place that helps the cogs of the world move in its own way and rather than ignore them this collection celebrates them. One of the tales, Two Steps Back, is clearly an homage to Neil Gaiman’s work. Gaiman and Stephen King are two of the authors he acknowledges as having given him some of the best encouragement and advice on writing. I feel the same about those two literary giants. This collection is perfect for when you want something to read and don’t have a lot of time. Great for the beach, long traffic lights and the moments right before Master Chef. Farewell to the Emperor is the longest story and has been divided up so that it won’t throw you off the rhythm established in the previous tales. Stephens’ style is witty, but not snobby. It is down to earth and speaks in the language of those of us who work hard for our living. The key to that is that he speaks to us not down to us or another us. He knows the secret of great writers knowing which details to give the readers and which ones to allow readers to build in their own imagination. After the first couple of stories you will start to look for the twist and still won’t see it until the end. Every story added a sparkle to the evil little grin that resides on my face. So now, go out, buy this collection and let the wicked smirks begin. As for me, I am investing in some of Stephen other works which are also available on Amazon both in digital and paperback forms. For more information, please visit his website, Marshall Makes Media.